The club was formed in 1920 as Chatteris Town Juniors, changing to their present name a year later. They joined the Isle Of Ely league upon formation and were an immediate success, progressing quickly through the divisions. Eventually, they moved up to the Cambridgeshire League, winning it in 1932. Time was spent in both this league and the Peterborough & District League with the latter being won three times in succession between 1964 and 1966. 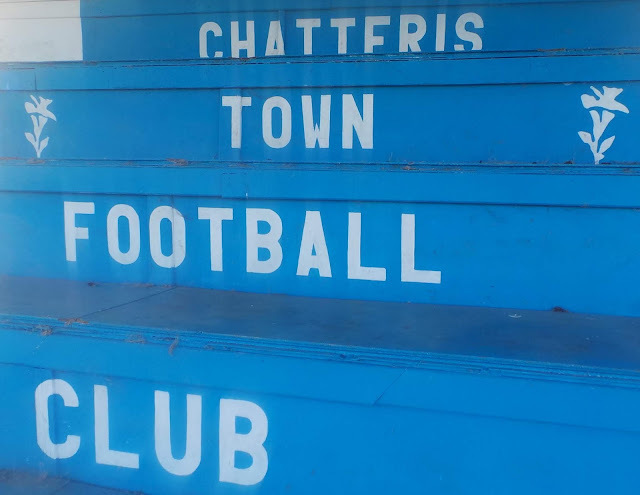 This was the most successful time in Chatteris Town's history and after the third success, they decided to make the step up to the Eastern Counties League. Their highest ever finish of 3rd was achieved in 1968. 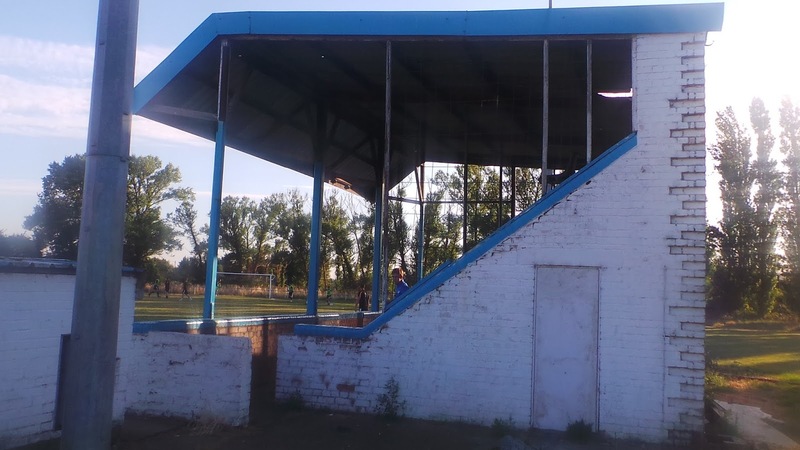 Twenty years later, the league expanded to two divisions, this led to some tricky seasons for the club and they were eventually relegated after finishing bottom in 1995. Six further seasons were spent in Division 1 and despite a best-ever finish of 5th in 2001, the club took the decision to resign from the league due to financial reasons. Dropping down to the Peterborough & District League, Chatteris Town would remain here until 2007 when they moved to the Cambridgeshire League. Starting in the Senior B division (step 9 of non-league football), success was immediate with the club finishing 3rd and winning promotion. Another promotion followed from the Senior A Division with the club finishing as champions in 2009. 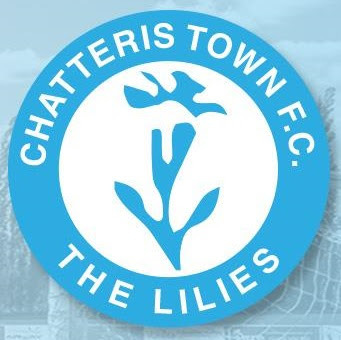 Promotion to the Premier Division followed and despite an excellent 7th place finish in 2011, Chatteris Town were relegated back to the Senior A Division two seasons later. In 2016, they were promoted back up to the Premier Divison after finishing as runners-up behind Outwell Swifts. Despite a best-ever finish (since their return) of 5th in 2016/17, last season saw the side struggle and finish bottom, meaning that they start this season in the step 8 'Senior A' division. 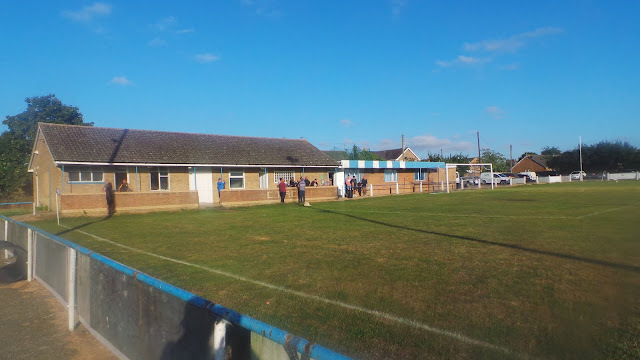 Chatteris Town played in the FA Cup for a number of seasons between 1946 and 1995. Their best progress was the 3rd Qualifying Round, reached in their debut season when they lost to Cambridge Town and then again in 1972 when they lost out to Ely City after a replay. 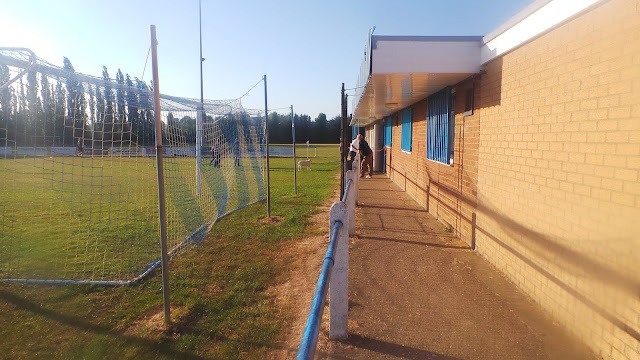 They will want to forget the 1951/52 season though as they suffered a crushing 14-1 defeat to Kings Lynn Town. In the FA Vase, the 2nd Round was reached in 1993 with a 5-1 defeat at Bridgnorth Town. 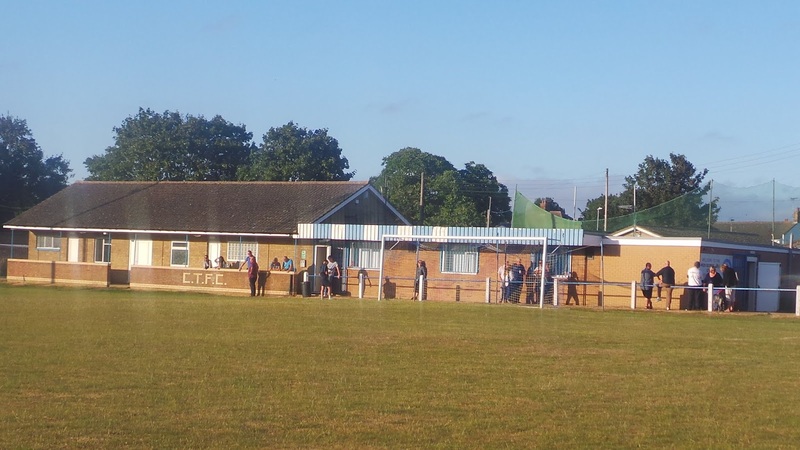 Local cup wins include the Eastern Counties League Cup in 1968, the William Croad Intermediate Cup and William Cockell Memorial Cup in 2016 as well as the Cambridgeshire Challenge Cup on six occasions. Chatteris Town's record attendance of 2,000 came for a 1988 league game against their local rivals March Town United. 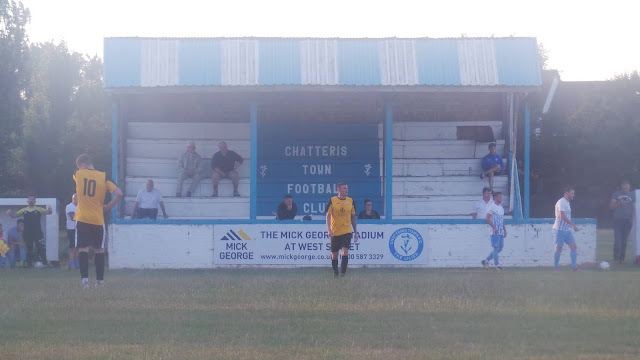 I'd wanted to visit Chatteris Town for a while as it was one of the better grounds at step 7. 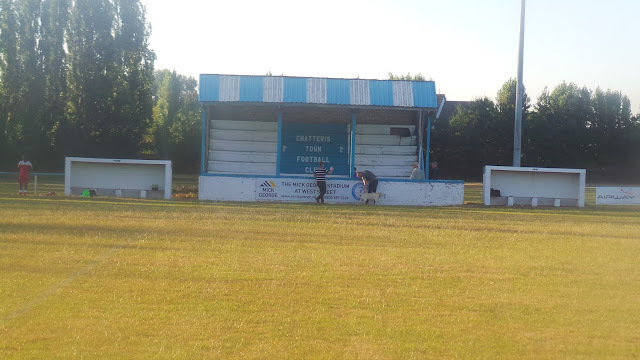 Despite it having its own stand, it was probably one to do in the summer, thanks to it being pretty open. So, therefore, I was pleased when it came up fairly early in pre-season when there wasn't so much on. 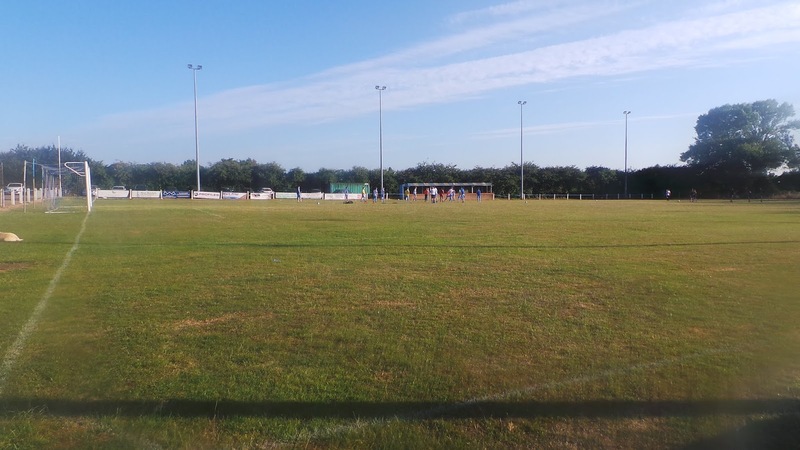 It had the bonus of not being a friendly although the game against local rivals March Town was unlikely to attract the 2,000 crowd that it did when the sides met in a 1988 Eastern Counties League clash. The Bill Salisbury Memorial Trophy was created in memory of the Chatteris Town club legend, though information on his contribution to the club is scarce on the internet. It appears that the cup was first contested back in 2015, with March Town running out 3-1 winners. The following year saw March retain the trophy with a 2-1 win. Last season saw the hosts win the trophy as they finally defeated March 1-0. On the day of the game, I awoke after a pretty good nights sleep. After having some breakfast, I headed down town pretty early to get my hair cut as it was getting a bit long, especially for the recent hot weather. While I was down there, I went in to Iceland and got a pizza for lunch and some drinks for later. After getting a lift back home with my Dad, I had my lunch and spent the afternoon carrying on with this blog post and catching up on some TV. The internet bought some decent news in that tonight's game was free. 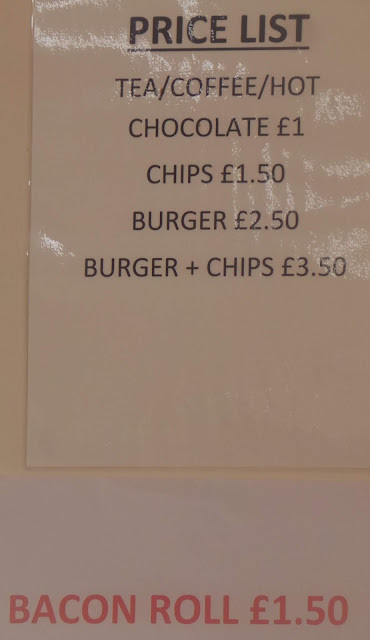 I'd already found a place for dinner called Chilli Masters which was just under a mile (or 15 minutes walk from the ground). I left at 4.15, meeting Anwar in Aylesbury half an hour later. Despite the journey being under 70 miles, it took just over 2 hours to get there, thanks to traffic and small roads. We arrived for dinner at 6.50, where I had a chicken tikka burger, chips and a drink for £4. It was nice and the portions were good, so I was fairly full as I drove the mile to the ground, arriving at 7.20 and parking up outside. Pictures were taken of the impressive ground for the level and a spot sought where the low lying sun would least ruin the view. There were a number of friendly dogs enjoying the evening sun and it was a nice setting to watch a game in the conditions. In what turned out to set the pattern for the evening, it was a feisty start, with plenty of tough tackles coming in, especially from the visitors. 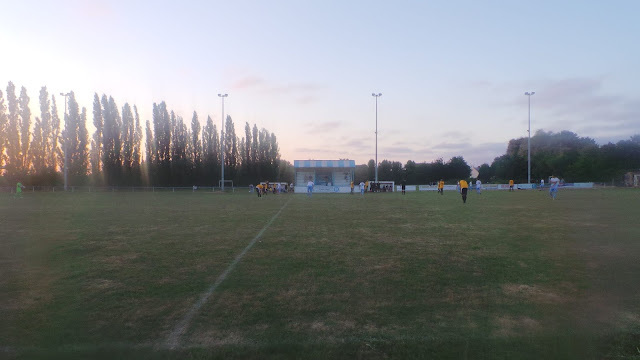 Chatteris Town had been having a good spell but then they wasted a free kick, losing possession quickly. March were swift on the break and a low shot from just inside the area by Toby Allen on 29 minutes gave them the lead. 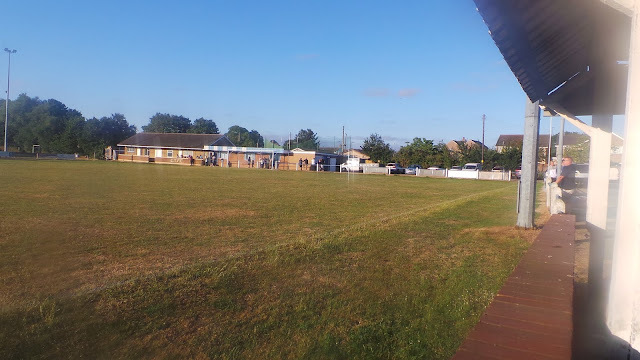 This led to the visitors seizing control of the game up until halftime, but Chatteris came out for the second half a revitalised team. They started the half on the front foot with Jack Brand having a shot that clipped the post and was cleared off the line five minutes in. They did eventually get the equaliser on 57 minutes, a ball was played across the box and Jack Jefferson netted from around ten yards out. This spurred Chatteris on further and around 10 minutes later Jefferson forced a great save out of the March Town keeper Simon Dalton. Shortly after, they had a shot cleared off the line as they continued to press. 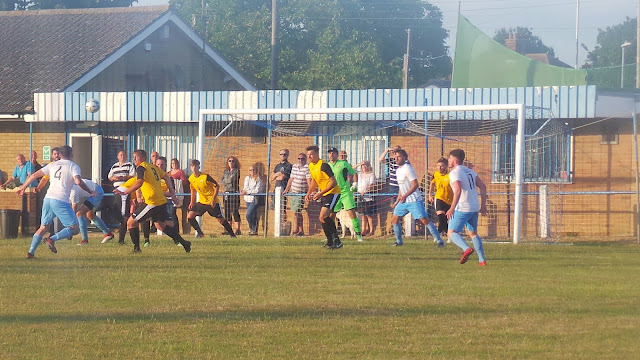 Then, the impressive Josh Dodman, who had come on just before halftime played in Harris-Hercules who tried to take the ball towards goal but was felled by March Town keeper Dalton. There was a big debate about whether he should be sent off, but in the end, the referee awarded just a free kick just on the right side of the area. Jack Saunders stepped up and powered a free kick into the bottom left-hand corner to give the hosts the lead on 79 minutes. March pushed for the equaliser with Max Mattless hitting the bar with a few minutes to go. 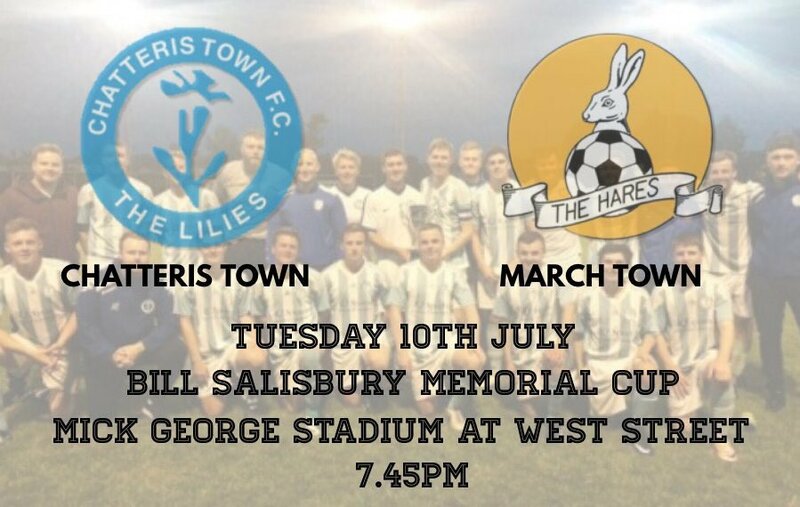 Chatteris had to cling on after this, Matt Walshe saw red for a crude challenge soon after, but they survived to retain the Bill Salisbury Trophy and by my reckoning make it two titles apiece for the local rivals. Winning goal from Tuesday night scored by Jack Saunders. 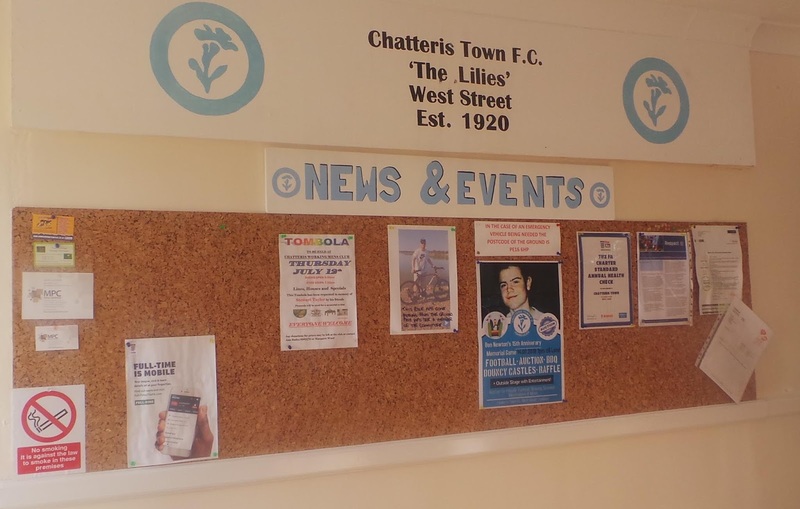 Finished Chatteris Town 2-1 March Town. We left at 9.45, having enjoyed the game. 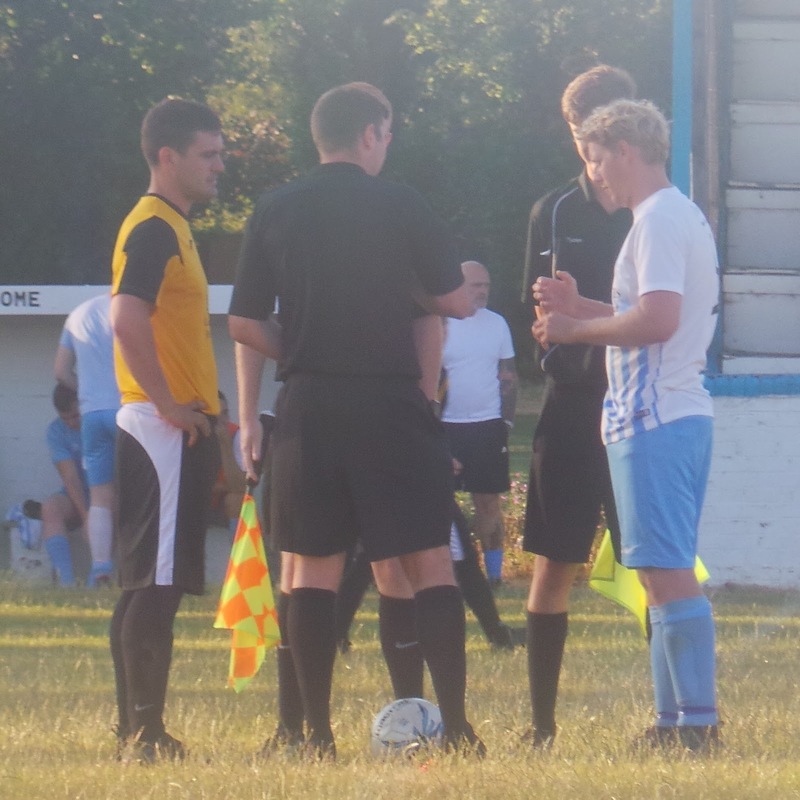 It had been a combative game, but the referee and his assistants did well to keep a lid on things, despite complaints from both sets of players and fans. We left at 9.45, learning that England would have faced France in the World Cup Final, had they beaten Croatia. Certainly, the team had done us incredibly proud this tournament and despite certain sections of the media attempting to turn fans against players like Raheem Sterling, most had remained fully behind our heroes. Sadly, they went out in the semi-final the following evening, continuing their disappointing form when they play on ITV, only less marginally disappointing than the sub-par coverage itself. 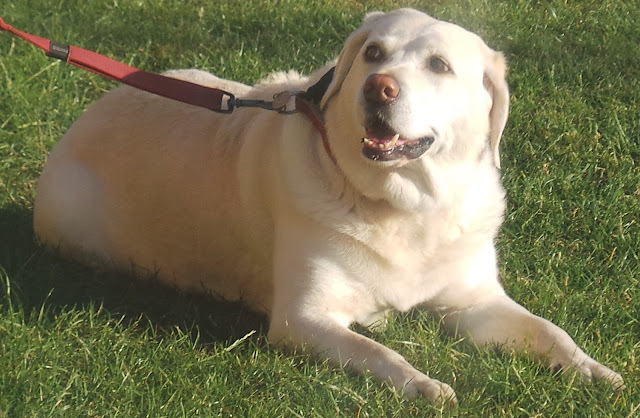 On the way back, we listened to a show on BBC Radio 5 live which recalled England's last World Cup semi-final against West Germany. This made the journey pass quickly, with me eventually dropping Anwar off at 11.10. I got home myself 20 minutes later but just couldn't get to sleep for hours for some reason. It meant I was really tired when I woke for work at 4 am the following morning. 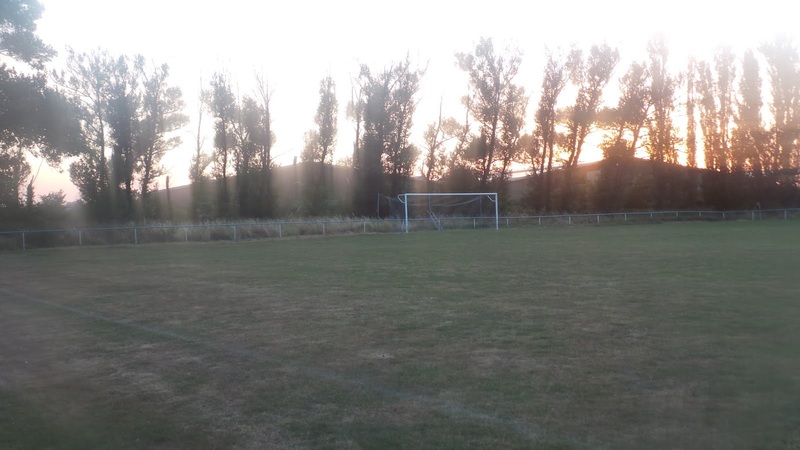 WEST STREET is a great venue for step 8 football and would probably suit a step 4 side with a few minor improvements. 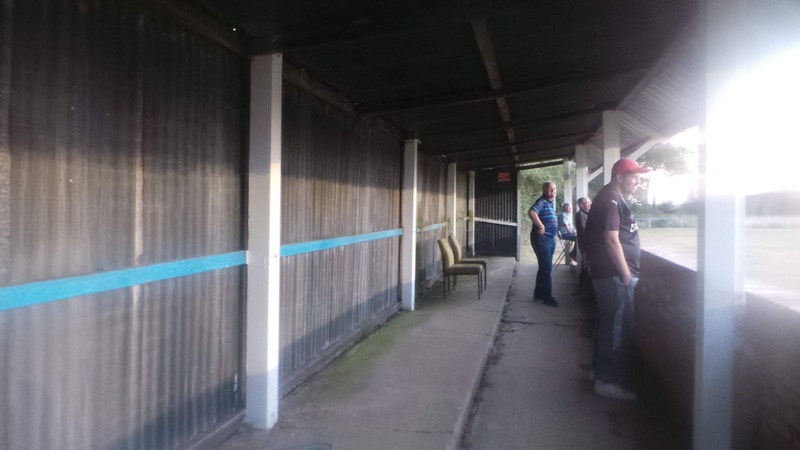 The sole seating area holds around 250 according to an old non-league directory and this is made up of bench seating. 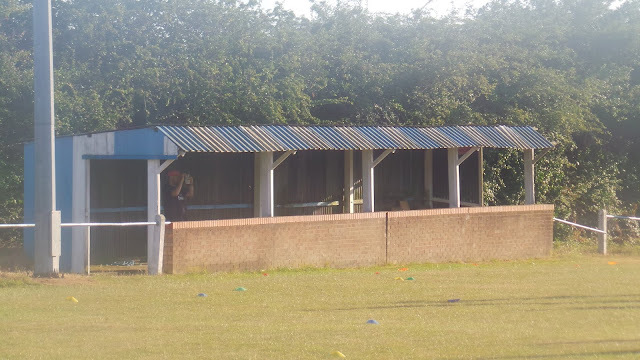 There is an area opposite for standing holding around 150 and a further covered area behind the goal for around 50. The ground has an overall capacity of 2,000 and is pretty well kept, save for behind one goal which is overgrown. 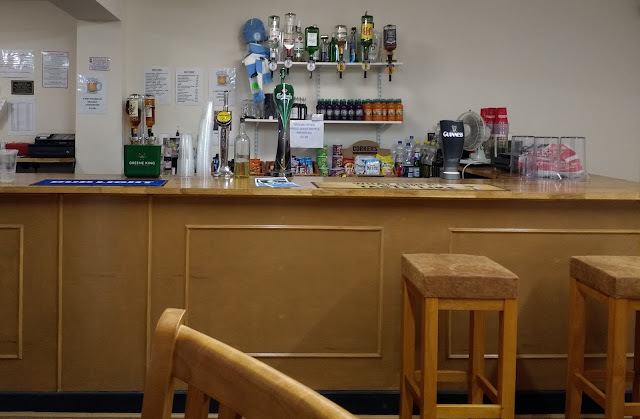 Facilities at the ground are pretty decent, there's a spacious car with TV and a tea bar with a reasonable range. 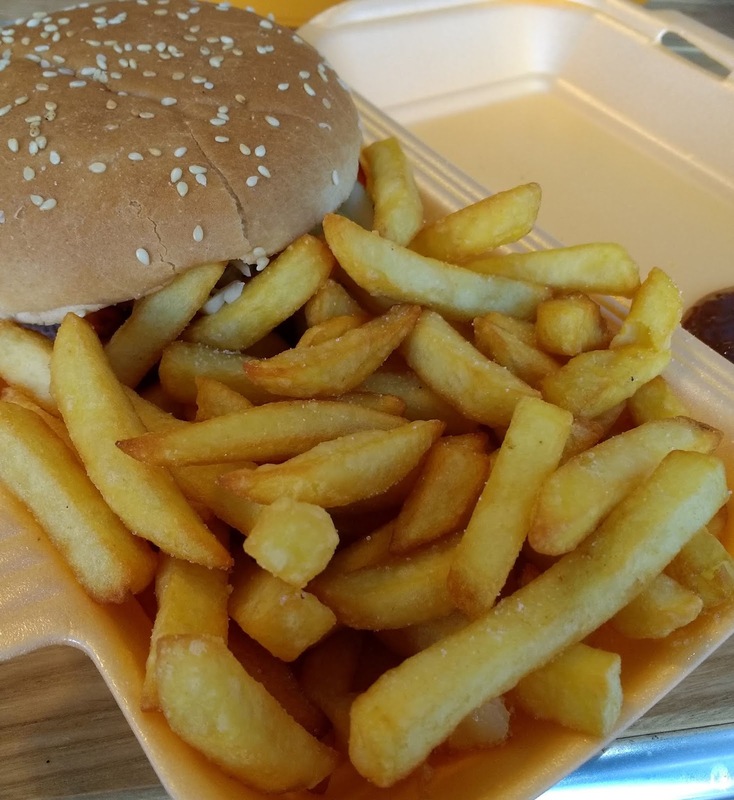 The town is not far away, around 10 minutes and offers a decent range of takeaways and pubs.